Eat Salem has received plenty of strange comments about Jonathan's. That article adds interesting insight into the behind the scenes turmoil. I hope that they can get things figured out and keep Jonathan's open. For Seafood in Salem, I can't think of anywhere else to go but Jonathan's Oyster Bar on the corner of State St. and Liberty downtown. It's a little tough to find and a bit confusing the way the restaurant is set up. The Liberty side entrance is more of a bar setting, while the State St. entrance is the restaurant. Either side you are guaranteed a good meal and good service. The restaurant side is dark and adorned with fishing nets and surf boards. For a moment you might forget that you're landlocked in Salem Oregon. On our visit during a cold winter night, the restaurant was warm and comfortable. The aroma from the kitchen permeated through the dining room and instantly got my mouth watering. The menu has a good variety of seafood including northwest wild salmon, Yaquina oysters and clams, Oregon shrimp and Dungeness crab caught off the local coastline. On the dinner menu, most entrees are between $14 and $20 for. For lunch you can expect to pay between $10 and $16, that includes a soup or salad and bread. Jonathan's specializes in Cajun cuisine but they do have a section on the menu titled Tito's Taqueria. That's where I found the Prawns A La Diabla. To say that these scrumptious shrimp were spicy is an understatement. Be prepared to have a fire extinguisher or a large drink nearby for relieving a swelling tongue and lips. With that being said, none of the flavor of the fresh shrimp was lost inside the fiery sauce. It was so good that after the shrimp were gone, I scooped the remaining sauce up with my fork and ate it by itself. One thing about eating a prawns in a dish like this or shrimp scampi is that I always wonder if it's proper etiquette to grab the tail of the sauce covered prawn with my fingers. I ate a couple this way but the mess on my hands forced me to eat them with my fork. My wife dug into her plate of Shrimp Scampi, pulling the tails off with her fingers. We both enjoyed are dinners and the cozy atmosphere of one of Salem's best downtown restaurants. I don't have a clue as to why, but we've never ventured into Jonathan's. Maybe we'll head here for our next "blood date" (dinner out after a visit to the Red Cross to donate blood). I heard they have a different owner the last couple of years. I don't care who the owner is, I just want a good meal for the price I pay. Last two times, we had out of town guests with us, and were ashamed of the meal and service we got there. I really don't know if I would go there again for dinner with friends, and that is sad. We really used to like this place. I went there last night with my family. It was my fourth (and LAST) time at this establishment. We had to wait nearly TWO hours to get our food and the waitress was very rude. Our beverages kept going dry and when we actually did get our food it was absolutely terrible. I ordered the gumbo WITHOUT oysters and they messed that up. My mom ordered steak medium and it may as well have been steak tartare. I had bragged this place up so many times to sso many people but I will never be going back there ever again after the terrible experience last night! when they finally go there. I agree with the Anonymous post from 12/30/7. My wife & I went there a few days before Valentines Day for a quick bite before hitting the mall. We had our toddler with us, so speedy service was a necessity (I like to think of it as racing the toddler timeclock...too late, 10 minutes in my high chair, time to cause a scene!). It took probably 10 minutes after the gal seated us before our server made it around to take our order. My wife's water glass had something black in the ice. My $15 fish & chips tasted like freezer burned Gorton's fish pieces (compare this to Elmer's which has awesome beer-battered fish fillets). The salads were pre-staged (saw them when I came in). My wife's club sandwich was apparently pretty darn good (had egg on it). The waiter came back to check on us once & give us a to go box, but I had to go search him out to get our receipt. I'm definitely not going back...too expensive for this level of quality & service. We have been to this place MANY times, though not for a few months. Until last nite, when we met friends there for dinner before a show at the Elsinore. We allowed 2 hours, and we cut it pretty close. The service was absolutely terrible. There was hardly anyone in there when we arrived,yet several parties were served before us and left before us. I ordered halibut ( for over $20 I got maybe 3 oz.) with a baked potato that wasn't soft enough to scoop out with a fork, and some baby carrots. The taste was adequate. After the waiter dumped some ranch dressing on my husband, he managed to bring him an extra napkin to clean up with and brough his fish and chips which tasted like frozen fish. It took forever to get the bill, and then an additional wait for him to pick up the credit card. During the course of the meal, different people brought our drinks (after repeated requests) and our dinner plates and the delays were amazing. Never once did anyone apologize for the unreasonable waiting time. They may have been shorthanded, but no one said anything about that. I've always really liked this place and was very disappointed. This time, however, the waiter was rude and the food was just so-so, and the time it took was ridiculous. We probably won't ever go back. i have a friend who is a tattoo artist downtown. he works long hours so he eats downtown a lot. one night he went to jonathans after work. the waitress spent 20 min talking to him about the tattoo she was thinking about getting while he politely tried to order. when he finally told her that he really would prefer to not talk about work she stormed off. the manager come to the table and asked my friend and his wife to leave. i think that was uncalled for, do they want to go to a store and be put to work? My boyfriend and I have went to Jonathan's twice. Both times we went to the bar with the entrance on Liberty. The first time was a Friday evening and no one was in there. So we bellied up to the bar and participated in the "spin the wheel" drinks game. It was an average experience. We decided to take another couple with us on a Friday evening and went for dinner. We sat in a booth this time and it took quite a while to get our drinks. We were a little frustrated, but ordered food anyway. The food was decent. We had a bit of a problem throughout our meal with the waiter bringing our drinks. He would forget and we would remind him. Then we started getting attitude from him because I am sure he sensed that we were frustrated by having to remind him. We are the customer, mind you, so that is acceptable. What is not acceptable is the waiter giving us attitude. To me, the whole purpose of a tip is to rate the service and REWARD the waiter/waitress for their service. They are already getting paid from the restaurant for doing their job. Well, when my boyfriend paid the bill at the end, he decided not to leave tip and prove that point. Why is it that a tip is EXPECTED these days....regardless of the service?!?! So we walked out and started walking down the street. Our waiter must have rushed to the table to check his tip (first time he had rushed to our table all night!!) because he came outside and yelled down the street at us!!! I am completely serious! He threw his hands up and yelled, "What the ****!" Needless to say, we haven't returned since. I would like to remind all those in the service industry that you are providing a service! Please make sure to do your best and earn your tip!! To the last person who posted who left NOTHING to the server...you obviously have never worked in the service industry! I can't say how good or bad your server was but I guarantee he wasn't just sitting around and ignoring you! Servers run their tails off every night and guess what they're not slaves! If you want a meal where you don't have to tip go to McDonald's it sounds more your style anyhow. Let me just say that if you can't afford to tip don't go out to eat!! The trash (that would be you) in Salem is out of control I swear. re: the comment at "June 30, 2008 11:52 PM" read the general tone of the reviews lately including the one that I posted. The service at this place is bad. You calling someone who doesn't tip when the service isn't good "trash" is even worse. I have to admit, I posted a comment on this place before, but thought we would try it again. Here goes folks...you won't believe this! We had four of us. Sat in the long bar area, up in the wooden booths. Not too busy, a Friday evening at that. We were clock watchers this night folks, due to the fact our grandkids were attending their first "night-time" movie, by themselves, a few blocks away. We started with beers and an order of onion rings, but had also ordered our dinner at the same time too. Beer, about 10 minutes, okay for that...onion rings, one hour, 20 minutes of waiting! Got onion rings. Dinner came fourty minutes later. That's TWO hours, waiting for dinner. We asked the waitress what was the big problem, she said they were missing a cook. When the dinner came, one of us is allergic to cheese. She got her burger served with cheese! After telling the waitress she had extreme allergies to it! Off went the burger. We were promised a NEW BURGER....no, it came back 3 minutes later, you could see, they scraped the cheese off, and fried it some more. It couldn't be eaten, now, due to allergies. And we were out of time, for a new one. My husband ordered the rib eye steak. Quite a chunk of money. Not a chunk of steak. This thing was a thin, rag of fat and tendon. My husband said, WORSE steak EVER!!! He could hardly cut through the tendons with the knife they brought. So, we asked our waitress for a manager...this gal comes out, and say's she's one of the owners. We told her about the two hour wait for dinner, the cheese on the burger, the no new burger, the very bad, very exspensive steak. And she grinned at us and said, I'll take about three dollars off your tab! And you guys didn't wait any two hours for your meal. She stood there and called us liers. We were struck dumb. We couldn't believe an owner would talk this way to us. My husband, said, look, we aren't trying to get a free meal, but this was unexceptable, and we are not lying. She just walked off, and started chatting with a couple of guys drinking at the bar. We paid, we tipped the waitress well, thinking it's not her fault. And as we walked out, this gal laughed at us, while talking to her booz hound friends. Next Monday...I call, I get the same woman on the phone, I say...I want the owner. This guy calls back, say's he Mr. Baez. He is the owner, and that woman is related to him, but not an owner. I tell him the whole drama, and he starts whining about how hard good help is hard to get. I tell him, that's not my problem, and we didn't get treated as a customer should. He never made any attempt to offer anything back. Nor even asked us to come back as his guest. WE WILL NEVER GO BACK!!! This was the last straw. I have never had waitress, or manager make fun of me, or walk away, after calling me a liar. This place needs to be closed down. Mr. Baez needs to tell his daughter, girlfriend, in law, or whatever, that she is out of a job. But no, he won't. He is a lousy excuse for restaurant owner. I haven't been to Jonathan's for decades. By the sound of these comments, I may as well stay away. Are any of these posts about recent outings at Jonathan's, say in the last 3 months (May-July 2008)? wow, I could hardly believe all the things I have read. A co-worker of mine (very credible & critcal) shared that this place was the best in Salem for seafood. I was looking forward to going--but I now I feel 'warned'. Perhaps she went on 'good' day. That's too bad because Salem reallyneeds good (home style) restaurants and not the generic chain restaurants. Some smart owner would make a killing if he played his cards right. And as far as service, yeah--I would have to agree with 'everyone EXPECTS a tip". I was a waitress for many years--and I worked hard to earn my tip...extra pampering always. And yes it is very hard work--but it also a choice. Amazing. Funny thing is that people seem to think this is a :fast food retaurant: Not. Everything they serve is prepared to order, made from scratch, not "FARMED" and prepared as ordered. People do not understand that that there are "two" sides to this establishment, one on the "STATE" street side, and the other on the "Liberty" side. Hmm, let me see. How long has the LIBERTY side been there? Only over 20+ years. Yes, it is now NON smoking and has been for a couple of years. Check the menu out as it includes a Salad or a Soup. My daughter and I went to "Red Robin" for lunch, oredered chicken "clucks" and a chicken sandwhich, no soup or salad, 9.95, got three little pieces of chicken, wow what a deal. NOT. Get your head out of the gutter, put two AND two tegether. What is a better deal?????? I'd like to know why this site allows anonymous reviews? It would be nice for the owners/management of this restaurant and others to be able to contact disgruntled customers so that they may try to rectify any problems. Just a thought. The owners are of Los Baez fame. They purchased it from the previous owner a couple of years ago. The several times we have been there, the food and service has been quite good. I would suggest that those who have had problems, give them a call and let them try to deal with the issue. If they don't know about a problem, then they really cannot fix it. I haven't been here for over six years, but the last time that I went I was sorely dissapointed and promised myself I would never return. I took my brother and his friend here for lunch one day when I was pregnant with my now 6 year old. I ordered the halibut (as it's my favorite fish). We waited a VERY long time, and the restaurant wasn't even busy. When my fish arrived I was greated with a not-so-great smell coming from my plate. I started eating the halibut and realized that this fish was NOT fresh and was bordering on unedible. When the waitress came back to the table to check on us, I told her that I suspected that the fish had gone back. She got this confused look on her face and said, "That's weird. You're the second person to say that today!" Hello???? Needless to say, my food wasn't compted and I left hungry and dissapointed. Regarding the comment from "Desperin", you say you where in there when you where pregnant with your "NOW" 6 year old? The new owners haven't had it for more than three years so THERE halibut wasn't the OLD stuff!!!!Hell-o. Why are there no comments on the Bentleys and Carruso restaurants in Salem? Are they no longer open? Sure sounds like a lot of these comments are coming from people who know the current owners? Hmmmm. I used to love Jonathans.Now I don't. It's not about price. It's about courteous service and fresh food. The food is still "good", but it used to be great. And say what you want about "made to order", this place is very slow with very rude waiters. And that's just happened in the past 2 years that I know of. It's a shame, really. We don't have that many really good little restaurants in Salem, and Jonathans used to be one of them. Personally, I think that the tip should start at zero. Zip, zilch, nada. If you provide crappy service, guess what: tip $0. If you do a good job, 15% is the standard. However, if you do an outstanding job, the tip is higher than 15%. Rather than leaving 15% for everyone, I leave $0 for crappy service and 20% - 25% for good to great service. This is the USA - capitalism is good. It rewards the hard workers and leaves the rest behind. I commend the person above who had a bad experience and left no tip. Fortunately, I have not ran into bad service in a long time. I find it interesting that the "Red Robin" post on September 10, 2008 9:13 PM, made by someone clearly associated with Jonathan's addresses only the issue of price, when most of the complaints complain mainly of attitude from waitstaff and management. Price is less of an issue if you walk away with a positive experience. Sounds like Jonathan's doesn't provide that on many levels - service and quality being primary. Does anyone have suggestions for a good oyster/seafood please in or very near Salem? Salem Man had a good meal at Jonathon's a year ago. You never know, you might have a good experience. N and I usually go to McGrath's when we get the urge for seafood. I can't think of one time we didn't have good service. We have had a time or two when the food didn't thrill, but that's rare. OMG... I'VE BEEN WANTING TO GO THIS RESTAURANT IN LIKE FOREVER.. BUT I SEE MORE NEGATIVE COMMENTS THAN POSITIVE. I just want to comment that I went there with a friend who did indeed order oysters and they brought her scallops. When she asked the waitress her comment was, I thought they looked funny. She eventually got her oysters but was charged the higher price of the scallop dish. The food was OK, but pricy and for a mid week dinner, it took longer than it should since there were only 2 tables of people seated. It was only a matter of time before their actions caught up with them. If you want to eat here, wait until the new owners take it over...I am sure you'll find the staff a LOT more welcoming and actually personable! check out the article in the Statesman Journal on 1/17! anyone see the latest about this place? Check out the Statesman Journal Mid Valley Section today. Ownership fight? This makes me very sad! I can remember my parent's loving Jonathon's when I was a child as well as enjoying dinner with my husband when we were younger. I haven't been since these new owners took over and after reading these posts I won't be! Just a note.. It's interesting to know that these are the same owners of Casa Baez on Lancaster because the last time we dined there the food and service were also terrible and we haven't been back since! The fish tacos at Jonathon's are outstanding. I've had slow service there myself but I have found that if I want a long leisurely meal that is tasty, I go to Jonathon's. If I want a quick tasty meal, I go elsewhere. It's sad to see that the last few posters on this site want to reference the Statesman Journal article from today. Obviouly they enjoy seeing the misery of another. It is not our place to judge the kind of people the Baez's are or are not. I do know the family, I am not close to them, and would not be considered a friend of the famliy, however, I do not enjoy seeing their dirty family laundry in the newspaper. It's not any of my business and it surely is not anyone else's either. Good food, sometimes fair service. Whatever. In defense of the SJ article, Jonathan's is a place open to the public, making it fair game for press coverage. People put their trust in the restaurant and as customers we are curious to know about the establishment we are eating in. Most everyone who reads this blog is hopeful that the situation is going to work out for all parties involved and the restaurant can remain open with happy customers and happy owners and staff. The owners are not the same Baezes that own Los Baez or CASA BAEZ. Yes they have similar names but are not the same. Los Baez and Casa Baez are individually owned businesses themselves and I enjoy eating at either one very often. The service i recieve is matched at either establishment. I gotta just comment that I ate here again last week with a group of co-workers. It was a week night. We couldn't see another table of people as it was early, except at the bar and the service was soooo slow and the food was sub-par. Plus, the drinks came out one at a time and no drink menu. My drink was $9.00. Ridiculous. Not ever going back!!! I whole-heartedly agree with the anonnymous post second down. Our family stopped eating there a couple years ago because of how bad the service had gotten. I sure hope someone opens that place back up soon. It was a landmark hangout for many years. So sad! Ive been there a couple of time both on the bar side and the resturant side. I really enjoyed the atmosphere of the bar. The bartender was friendly and well informed about the food. Personally I don't think the food is that great (with the exception of the half shell oyster). I ordered the gumbo twice and both times it was kind of thin and had grit in it. I was there with a party on the resteraunt side and the service was really bad. Unlike the bartender the servers didn't know the menu and kept mixing up the orders. I actually would love for this place to step it up because this could be a great resteraunt. Casa Baez is owned by the brother of the owner of Jonathons, gone to Casa Baez for "years" never had a bad meal or bad service, I used to work downtown and went to the "old" Jonathons several times, never to have a problem, but the last few years service and quality have gone downhill, stop going there a year ago. Word on the street is that Jonathan's will open in the next couple of weeks under new ownership. I for one am excited to visit the ole restaurant again. I miss the cozy decor. I hope if they do change the menu that they keep some of my favorites like the Jambalaya. Anyone else excited to see this place open again? Yes, I hope they open Jonathan's again. I love their seafood gumbo. I order it every time I come to Salem from Central Oregon. We came to Jonathans for our anniversary and sat in a booth on the bar side. Our service was horrible and I used to be a lead server in both regular and fine dining! We watched our server stand near the bar and chat with random people, all the while, we had to wipe our own table down (we asked twice) ask other servers to bring us water, our meal was about half hour to forty five minutes over due and we had to pick food out of our water and ask for our bill twice. It was ridiculous, this place is NOT where you want to go for a nice evening..
My wife, our friends and I enjoyed Jonathan's jambalaya for years. We went there today and found the restaurant an empty shell. We would like to try a restaurant where the chef did the jambalaya for Jonathan's; or, if the recipe is available make it ourselves. The old Jonathans has closed the new Jonathans (under new ownership) is at another location about two blocks away and is amazing!!!! Great Food, Great Service, Great Atmosphere! They even brought the longbar from the old location!!! The new Jonathan's is awesome, my wife and I went there last Friday and want to go back this Friday it was so great. Service was fast, the recipes were like it was back in the day about 6 years ago, however the food quality is much better. The crappy waiter that used to be so slow that worked the bar side is no longer there. Service was expeditious. I had a tender rib eye with the Jack Daniels, my wife the stuffed halibut, we both loved it. Everything was on point. Everything we loved about the old restaurant was there, everything we hated was gone. Check it out if you have not or had a bad experience again. It really is night and day difference in the quality. Thank God the Baez clan does not take part in this restaurant any more. They ran it into the ground. 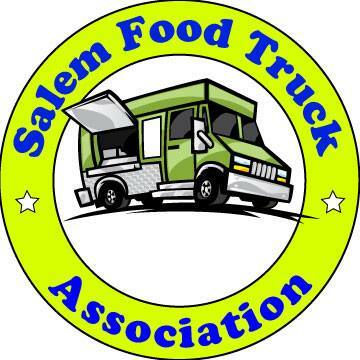 Finally Salem has a place to eat that is not a chain and has originality that will keep us coming back. Best Restaurant in Salem hands down, excellent service, great prices, great atmosphere. Couldnt ask for anything more. Nice to see they have the same Executive Chef that cooked in the old location.